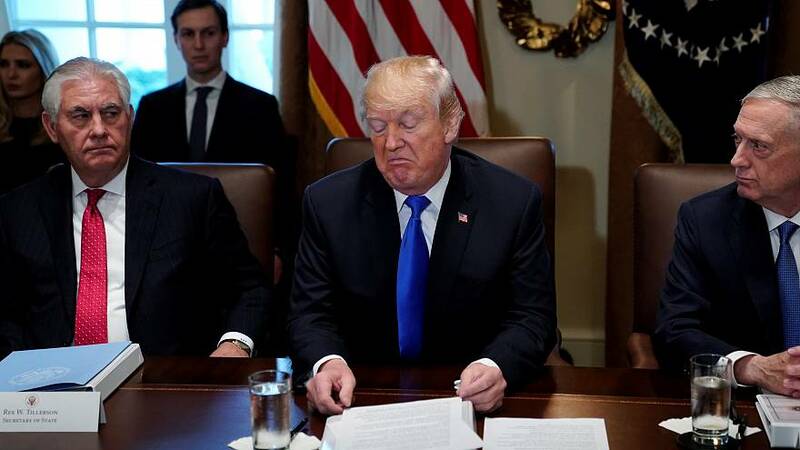 US President Trump has threatened to cut off American aid to countries that support a UN resolution calling for him to withdraw his decision to recognise Jerusalem as the capital of Israel. “They take hundreds of millions of dollars, and even billions of dollars, and then they vote against us. Well, we're watching those votes. Let them vote against us. We'll save a lot. We don't care," Trump told reporters at the White House on Wednesday (Dec. 20). The 193-member U.N. General Assembly will hold a rare emergency special session later in the day - at the request of Arab and Muslim countries - to vote on a draft resolution the United States already vetoed in the 15-member UN Security Council earlier this week. US Ambassador to the UN Nikki Haley warned the United States will be "taking names" during the vote. When all the other members of the Security Council backed the text on Monday (Dec. 18), she called the move an "insult" the US would not forget. The Egyptian-drafted resolution does not specifically mention the United States or Trump but expressed "deep regret at recent decisions concerning the status of Jerusalem." It calls on all countries to refrain from establishing diplomatic missions in Jerusalem. Trump's Dec. 6 declaration, which reversed decades of US policy in the Middle East, sparked an outcry around the world and nearly daily protests in the occupied Palestinian territories. Israel considers Jerusalem its eternal and indivisible capital and wants all embassies based there. Palestinians want the capital of an independent Palestinian state to be in the city's eastern sector, which Israel captured in a 1967 war and annexed in a move never recognized internationally. What next for US-Mideast relations?